Getting a good night’s sleep is a luxury not everyone can enjoy. But with the right amount of rest, you can wake up energized to take on the rest of the day – and you can do that by getting in bed early, making sure you have good quality sleep, and even by picking the right mattress. But let’s face it, it isn’t always easy to catch those Z’s. Sometimes, no matter how early you go to bed, sleeping through the night is still a challenge that many people face. So, if you are one of those unlucky individuals, what are you doing wrong? There are many reasons that this could be happening to you, but one of the most common factors is diet. There are a lot of chemicals and nutrients in your food that can give you much needed energy during the day but unfortunately hinder your sleep quality when it’s time for bed. If you’re ready to take the next step toward deeper sleep and more energy-filled mornings, here are some of the best foods for you to try out. Disclaimer: Please check with health professionals if you have certain allergies, specific diets, and/or health conditions that need to be taken into consideration before eating some of these foods. We’ve all heard that having a glass of warm milk before bed helps us sleep. But as it turns out, most dairy products can have this effect as well. Milk and low-fat yogurt are two of the most popular dairy products on the market that can help with sleep and the reason that they have this effect on people is that they contain high levels of calcium which has been shown to promote sleep, especially when paired with other sleep-inducing foods. Note: Be careful in choosing to have cheese in your late-night snack. Though it is a dairy product, many cheeses are also high in fat. Fats take longer to digest than proteins and carbohydrates and may cause discomfort or digestive problems when you have it too close to bedtime. A good source of protein, almonds and walnuts are also good sources of the sleep hormone, melatonin. Not only that but these nuts contain healthy levels of magnesium, a natural muscle relaxant that helps your body destress. Who knew these simple nuts could help you relax at the end of the day? So, if you’re looking for a healthy midnight snack, grab a handful of walnuts a few hours before bed for a much more restful night. 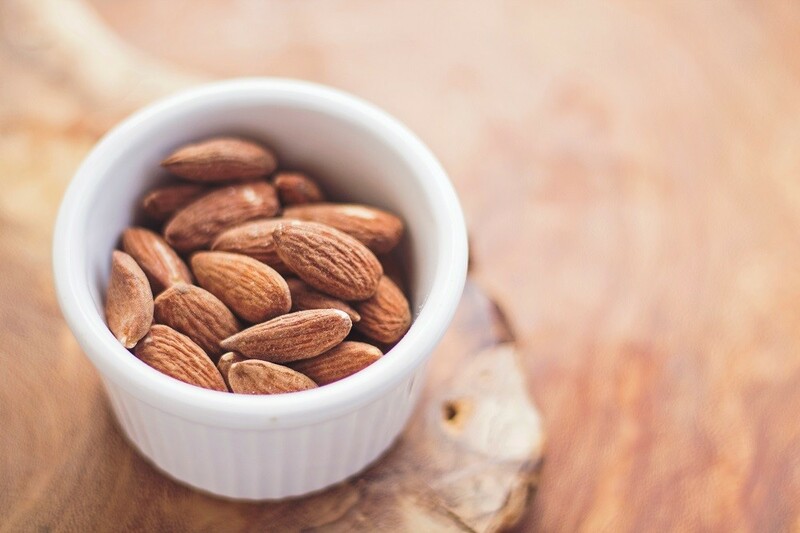 Tip: A glass of almond milk is a great source of magnesium as well as calcium so you get the best of both when you’re trying to feel more rested before bed. We’ve heard a lot about how whole grains are great for your health and diet, but they also work well for your sleep. They are a source not only of magnesium and calcium but also of potassium, a natural muscle relaxant. The reason whole grains such as raw oats, brown rice, and whole-wheat bread are better for your sleep compared to their polished grain counterparts is that these whole grain foods undergo less processing. Essential nutrients for sleep contained in whole grains such as potassium, magnesium, and calcium are stripped from them when they go from brown rice to white rice, whole wheat to white flour, and other forms of polished grains. Bananas are famous for being a great source of the minerals potassium and magnesium, both of which aid in muscle relaxation. Less well known about this popular fruit is that they also increase the body’s melatonin concentration, helping you sleep better. Tip: If you want some dessert after dinner and still want to have a good night’s sleep, try having a bowl of fresh banana with natural or greek yoghurt and a sprinkling of rolled oats or muesli a few hours before bed to get those nutrients and minerals for a good night’s sleep. Tart cherries are a healthy and naturally occurring food source of melatonin, but eating a handful of cherries won’t have the same effect as a glass of tart cherry juice. Most tart cherry juice brands use a concentrated blend of these cherries equivalent to about 100 cherries in one serving. So drink up! Studies have shown that having a glass of tart cherry juice an hour or so before bed can help you sleep better while avoiding excessive fluid intake and bloating. We’ve all heard it before but it’s important to emphasise that you should limit the intake of certain types of food before bed for a better night’s sleep. A few of the most common culprits of dietary-influenced sleeplessness are coffee, black tea, and energy drinks. These drinks are well known for containing significant amounts of caffeine that keep you energized and prevent you from going to sleep. Another type of drink to limit before sleep is alcohol. Although drinking alcohol before bed has been shown to have a sedative effect, studies show that alcohol disrupts the sleep cycle overall, affecting both length and quality of sleep - waking you up at night and leading to more exhaustion during the day. Also take note: Limit your intake of simple carbohydrates. Simple carbohydrates are sugars, so much of which is added in baked goods, juices, and in many processed foods. Complex carbohydrates, on the other hand, refer to starch and fiber - and the less processed they are, the better for your health. When it comes to foods that help you sleep, eating a healthy amount of whole grain complex carbs aids in feeling rested without the sugar crash. Stable blood sugar levels are important during sleep to keep you from waking up in the middle of the night. Although these are only some of the many foods that have been studied to help promote better quality sleep, they are definitely some of the highlights. But remember: don’t eat anything too heavy before bed (a light snack will do) and try not to sleep on a full stomach (allow your body to digest for a few hours before bed). Keep in mind to check with professionals if you are unsure about how certain foods on this list may affect your diet and health. But once you get the ok to try them, eat healthy and feel rested. Sleep tight! Editor’s Note: This article was proofread by Melbourne-based Registered Associate Nutritionist and Recipe Developer Alanna Brown. Find her recipes and nutritional advice at www.positiveating.net.